Declan paced, studying the techniques of the first-year apprentices. Each approached the furnace with wrinkled brows, all but Caitlin, daughter of Waterford’s senior blower, Patrick O’Malley. Declan had trained under him for five years, and her over-protective father was the only reason Declan avoided her. She twirled the six-foot metal rod; her pale blue eyes drifting. Where was she this time? Her lips turned up slightly—definitely not in this manufacturing cave. Too bad he couldn’t join her daydreams. From her starry-eyed expressions, they were delightful. As she swayed toward the twenty-five hundred degree furnace, Declan darted to her side, touching her elbow. “Sorry.” He retrieved the rod. “Of course, but I do like your help.” She carried the rod to her station and turned the ball against the wooden paddle, but it tilted. “Mr. O’Malley, I can stay, and help Caitlin try again.” Declan lifted the rod from her. What was he thinking? He must be mad as a box of frogs. If Mr. O’Malley suspected he was interested in Caitlin, he’d batter him. “No, I only have eyes for one girl, but …” He took the rod and walked to the furnace. “But …” She slid under his arm, grasping the rod. She shifted, meeting his gaze. “Not more instruction. More about your forbidden love.” She extracted the orange ball. 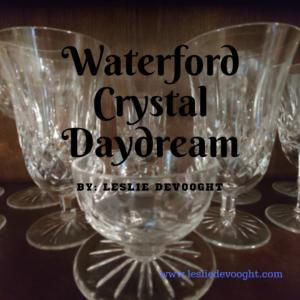 “She’s lovely although a bit of a dreamer.” As he handed her the paddle, their fingers grazed. His heart tripped. “I bet she’d break the rules for a sweet, handsome guy like you.” Caitlin shaped a vase form with the paddle. She stepped onto the block and fitted the form into the mold. She blew into the rod, twisting it. He gazed at her. Her flame-colored hair draped over her shoulder like melting crystal. 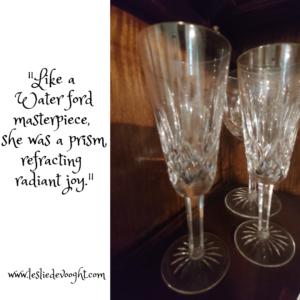 Like a Waterford masterpiece, she was a prism, refracting radiant joy. Her turning slowed, she raised her head, and lifted the vase. “Both but it doesn’t matter.” He followed her to the cooling chamber. “You’re worth it.” He pressed his lips to hers. He must be dreaming. Loved it! This piece pulled me in right away! Thanks so much Peggy. It was fun to write. WOW! Flirty and dangerous. Forbidden love at its best. Great chemistry beginning to develop. Thanks Deanna. I love her spirit. 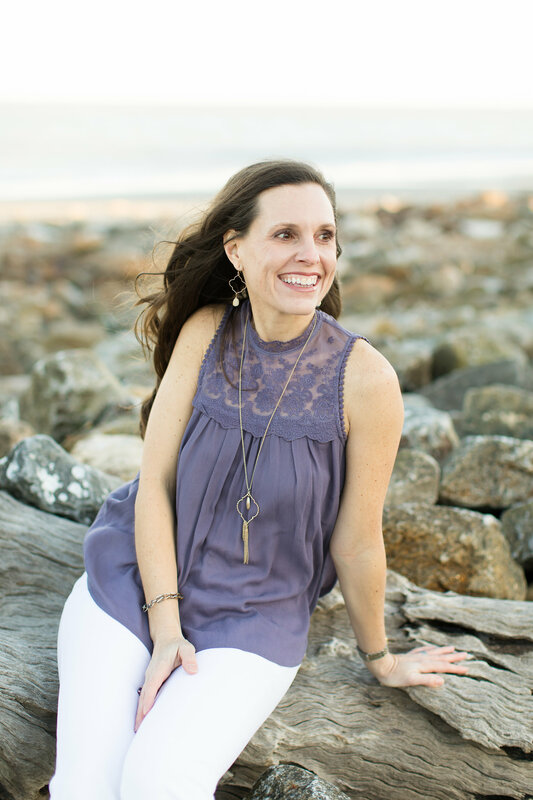 An Irish accent…it even gets me in print! !